Hyperplasia. In hyperplasia, the braces cause irritation to the gums that leads to swelling. 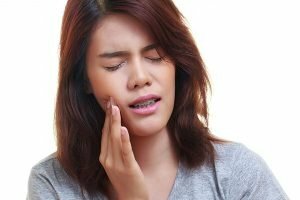 In fact, swollen gums are one of the most common byproducts of braces, but in most cases, a few habit changes and proper cleaning techniques can alleviate the irritation that causes swollen gums. We’ll get to that, below! Braces cause damage to the soft tissues. If your braces have extra material in place, you may suffer from damage due to the sharp bits of brackets or wires sticking out and puncturing the tissues of the mouth – both the gums and inner mouth. If this happens, you must immediately get the sharp elements removed. These edges can be temporarily covered with dental wax, or slightly moved using the eraser on a pencil. Plaque and tartar. Plaque is the hardened biofilm that bacteria live in, and it attaches itself to the teeth and eats away at them. Tartar occurs when plaque hardens and calcifies. The bacteria in plaque formations can lead to bleeding gums, as the bacteria damage the gums with their secretions. During orthodontic treatment, the health of the mouth can be decreased, and so bleeding from plaque build-up becomes more likely. You can stay ahead of this problem with extra focus on daily oral hygiene, particularly taking a more time to reach all tooth surfaces with your brush and floss. It may also help to switch to an electric toothbrush. You can make flossing easier by using special threaders to get around the wires or a water irrigation system that removes plaque with a pulsating water stream. Hormones and medications. Hormone levels can also create excess blood flow to the gums, and can lead to increased capillary action. Wearing braces can coincide with a teenager’s surge in hormones that can accelerate gum infection. Sometimes medications can be the cause of these excessive hormone levels, and sometimes an imbalance, or just the workings of the body are the culprits. If you are getting treatment but are pregnant, you may experience some bleeding, for example. Brush and Floss well and regularly. One of the down sides to braces is they make brushing and flossing much more difficult. Brush all tooth and gum surfaces around your braces, including above and below the wire running through the brackets. Use a soft brush and take more time. You might purchase an electric toothbrush, which can make brushing easier. Flossing is also very important to remove plaque. If your braces make flossing difficult consider a floss threader. A water irrigator is a great way to make sure your gums stay clean and healthy while your braces are in place, and beyond. Finally, don’t overlook the importance of regular dental visits while wearing braces. At Main Beach Dental we can keep an eye on and treat overgrowth, perform thorough dental cleanings, and treat occurrences of gingivitis. Rarely, you may need to visit a specialist in gums and supporting teeth structures, for more advanced treatment. And if problems related to orthodonture become extensive, your braces may need to be removed temporarily to treat the gums and allow them to heal. Orthodontic treatment not only creates a brand new and improved smile but it also improves your teeth’s function. Keeping a keen eye out for gum disease will make sure it doesn’t sidetrack your efforts in gaining straighter teeth. At Main Beach Dental your gum health is important to us, with braces or without. We provide gentle, expert care for all conditions and work to prevent disease, decay, and too many dentist appointments in the future. Our commitment to our patients is dental health for a lifetime!